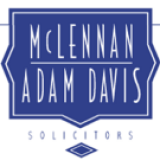 The latest criminal, litigation, road traffic, personal injury, conveyancing and family law news, blogs and announcements from McLennan Adam Davis. The Scottish Government has published a new report which aims to promote and enable accessibility of service across the criminal justice sector in Scotland for those with disabilities. A new survey of the residential property market has revealed that the number of rental properties in Scotland has fallen even further over the last three months. However, this decrease in supply has been coupled with an increase in demand, which is expected to lead to a sharp rise in costs for tenants. A new report has given an interesting insight into levels of wealth that is expected to transfer between generations over the next 30 years. Living by the sea is an ambition for many, and new research by Bank of Scotland has revealed that it may not be as unaffordable as some might think.